Welcome to the second ever Dana Middle School CrossFit P.E. Open! Over the course of the next two weeks, we will determine who the top 3 fittest male and female athletes are in each platoon through a series of qualifying workouts and skill assessments. 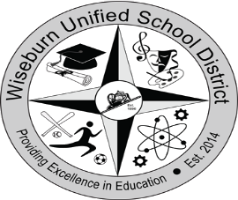 We will then take the top male and female athlete from each platoon and have them compete head to head in front of the entire 7th grade during TLC in the Dana Gym on Friday, June 13th for the 2nd ever, ‘Wiseburn Throwdown.’ It is going to be EPIC!!! Just as we did at the beginning of the year, we will have a plank-hold competition prior to the run. Both times from both workouts today will count towards your CrossFit P.E. Open standings to determine the fittest CrossFit athlete in your platoon and in the school..so let’s see what we can accomplish! Best of luck, and may the odds be ever in your favor! HOOAH!! !